New Orleans art in custom frames can make a great addition to your art collection, whether it's just the artwork you love or want to show your support to the great city of New Orleans and its heritage. We ship all over the world, with most orders coming from Louisiana, Texas, California, New York and Japan. Saints, Pelicans and Tigers fans are among our valued customers. We always keep our prices low without compromising on our high value. If You Love it Frame it!! You will have over 2000 frames to choose from our collection. We always keep our prices affordable without compromising on our quality and creative framing. 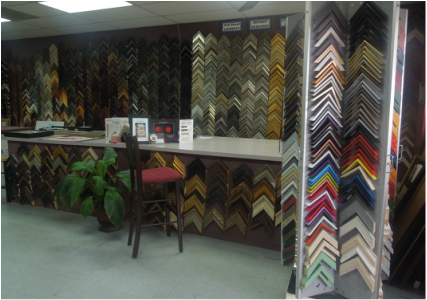 We will masterfully frame your treasured artwork with over 20 years of experience. The vintage Jazz Festival posters, Congo Square posters and Zulu posters are available at our store. Please call or email us!